To the left, the post office can be seen. 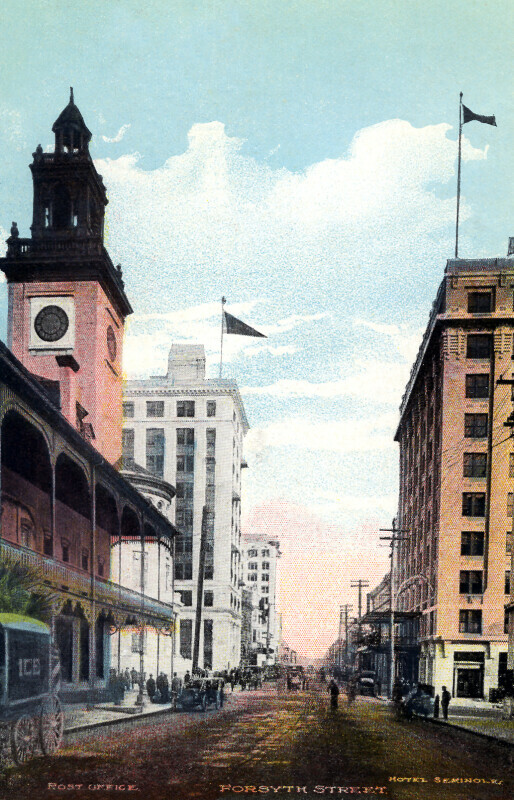 To the right, the Hotel Seminole is barely visible. In the bottom left corner, there is an ice delivery wagon. Looking down the street, there are cars parked parallel to the road. WARNING: You are about to download a 4.2 MB TIFF!